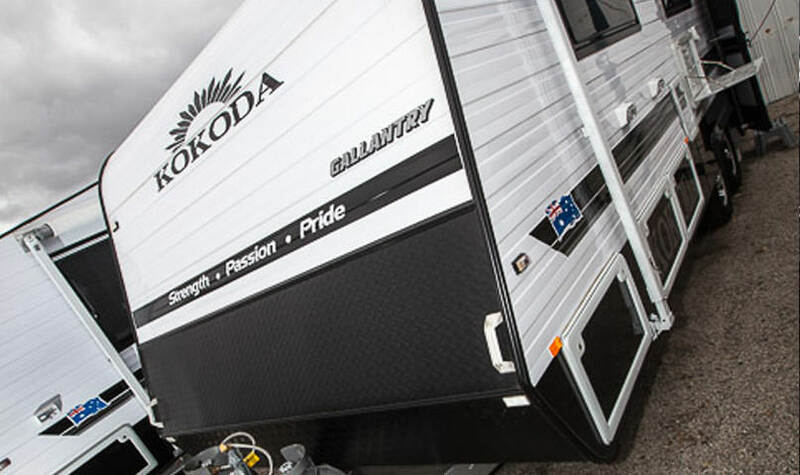 The Gallantry 2-berth ensuite caravan is all about style and reliability. The spacious design with modern features, the Gallantry comes with a queen bed, café dinette with footrests, 19” digital TV with reverse-cycle air conditioner. For an affordable price you get premium features such as the outside TV entertainment pack with two speakers, a reversing camera and roll out awning in this spacious 23’9” caravan. The Gallantry also has a 120 watt solar panel, deep cycle battery with gas and electric hot water system. The interior features a full ensuite, two door 181L fridge and top loading washing machine. The interior also has full oven with three gas and one electric burner and full height slide out pantry, the Gallantry is durable for the Australian outback with a modern finish.